The original medieval castle, extended in the 16th century to a Renaissance chateau, became the property of the famous Thirty Years War commander, Albrecht von Wallenstein in 1622, He turned it into the centre of his extensive Frýdlant duchy. 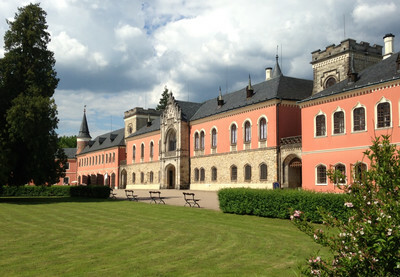 The last noble owners were the Clam-Gallas, who opened the castle already in 1801 to the public; Frýdlant therefore became the oldest castle museum in Central Europe. Castle interiors can be seen (mementos from Albrecht von Wallenstein, the Knight’s Hall with portraits of the Gallas and Clam-Gallas owners, armoury, estate office, collection of historic pipes), as well as chateau interiors (state rooms, ladies’ and gentlemen’s rooms, children’s room, bathroom, kitchens). All the rooms are furnished with the original furniture, paintings, porcelain and other items. The Renaissance Chapel of St. Anne is also part of the tour. Occasionally the tours are enlivened by guides in costume, cake baking in the kitchens, concerts etc. 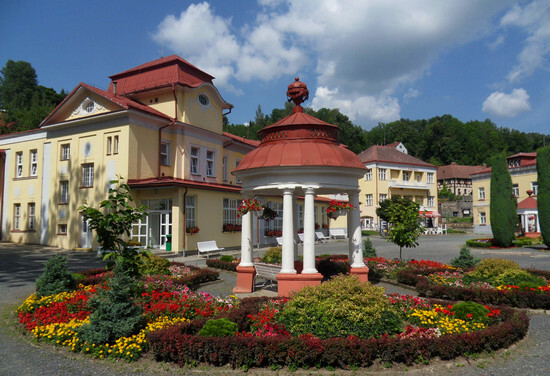 Spa village invites to visit colonnade and interesting places in surroundings. All year opened lookout tower with a charming view. Historical town included spectacular places.